Yep, I’m a nerd and I love goal setting! I especially love the hope and possibilities that come with each new year. My approach is a little different though. It’s also more fun than traditional resolutions. Oh, and “My approaches” aren’t mine. Most came from my amazing, incredible mom. Choose a word. Every year I choose a new word to represent my mindset or goals for the coming year. It’s fun to look back and see the story my words tell. The year I was pregnant with my second child my word was “Breathe”. Yes, my goal was to just breathe. Breathing not only got me through pregnancy but it was also my approach to childbirth. All I needed to do was breathe until the baby came. It wasn’t easy but it worked! The next year, I needed some excitement. After all, I spent the whole previous year doing nothing but breathing. My new word was celebrate. I wanted to have fun. I wanted to celebrate life, my marriage, and celebrate the milestones of my new baby boy. This year my word is adventure. I will have an adventurous outlook on life. I will go outside and play with my kids. I will seek adventures. I will also accept that as an introvert, having quiet alone is necessary. It will allow me to recharge so that I’m reenergized for the next adventure. Choose a color. Every year I choose a new theme color, any color I feel drawn to. This year is a bold cobalt blue. I had a friend recently ask “what do you do with your color?” Umm…I buy a scarf or planner in that color. Use it as an excuse to buy cute things at Target that happen to be in “my color”. It’s just a fun tradition. Sometimes it happens to be tied to my word. The year of breathing I chose a soft, calming blue. The year of celebration I chose a fun and bright magenta. 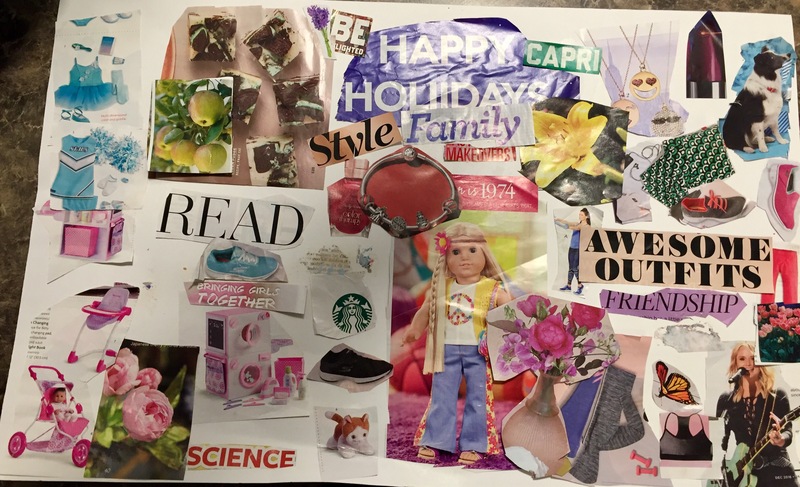 Make a vision board. I actually call it a Treasure Map (because that’s what my mom calls it). It’s the same thing though. I save up magazines all year, and then around November I start begging friends and family for their leftover magazines. I make a big mess every New Years Eve. My home is covered in a sea of magazines and I flip through them like a mad woman. I cut out words and images that inspire me or represent my goals. I then glue them all to a poster board and hang it where I can see it every day. If you have a treadmill, put it where you can see it when you’re running or walking. Sometimes I do a full poster board. Sometimes I cut it I’m half. This year I cut mine to be a perfect square. I usually look for my “word” and put it at the top and center of my board. You’ll be amazed at how many things on there come true over the next year. Stay tuned for a photo of mine. Meanwhile here’s the one my daughter made. Create wallpaper for your phone. This is a fun new one! Last year I made a wallpaper with a pretty background in my color and I used an app (Canva) to add my word to it. This year I made a little goal image. The background is in my color, my word is on there, and there’s a few of my goals listed. Don’t feel like you need to try all of these, but I encourage you to try just one. 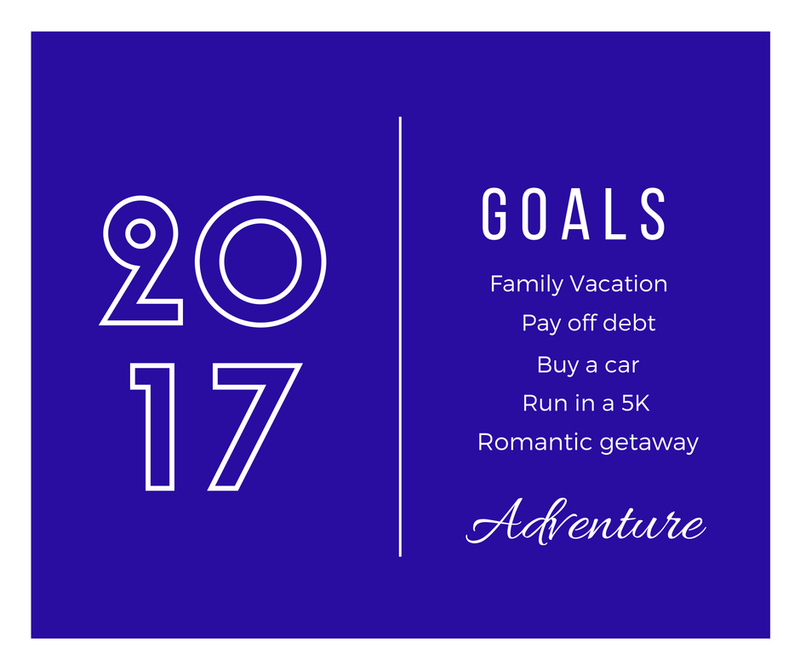 They are fun and different ways to set your intentions for the new year. Are you trying any of these ideas? Comment below, I’d love to hear about it! This is so inspiring! You have a great mom too!